We have found 1 tutor offering online Cebuano lessons and conversation practice via Skype, etc. 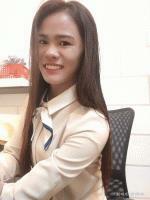 i am dolcie grace omall, a bachelor of science in information system. i recently graduated at the sultan kudarat state university. i can speak fluently in tagalog and english.